when you want to get rid of a computer program for some reason, probably because the program is out and you want to replace with a new version or because the program takes a hard disk capacity is enough, you can not do it manually by deleting its folder as the when the installation program, the application program is broken down into program files folder, windows or winnt, and go to start menu shortcut and others. 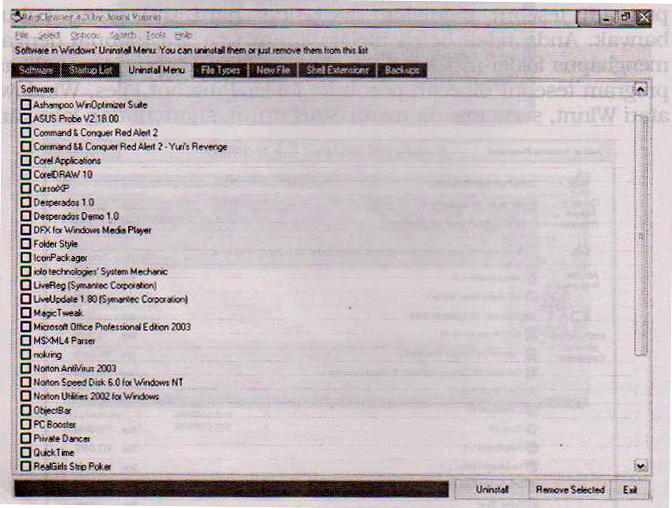 go to start menu | control panel | add / remove programs, click ok.
RegCleaner open the application first, then select uninstall menu. select the program that you want to uninstall, and then click uninstall. 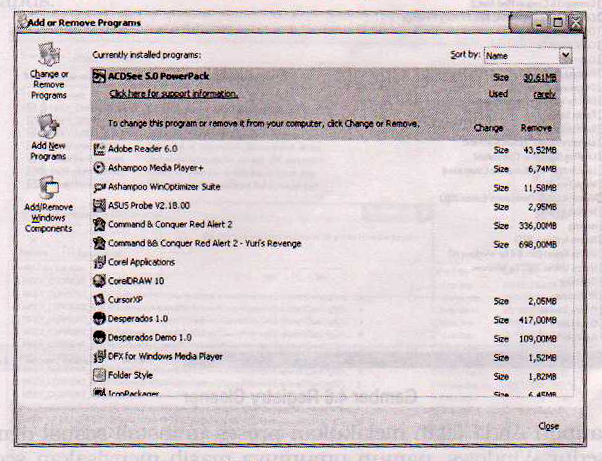 This software can also remove an invalid program or maybe you do not accidentally throw away the manual and the program's name is still there in add / remove programs. with RegCleaner, all this can be solved easily. you just choose the program that is invalid, then click remove selected and automatically invalid program name will be deleted. then, what about his invalid registry? even if you are throwing the application program, it still leaves the rest of the registry. steps: click the software tab, then find the name of the program in which if you've wasted, but still in the list, give the check on behalf of registry program that will be discarded. click remove selected. after the process completes, click exit to close the program. if you are confused to find invalid registry entries, you can use system mechanic program. 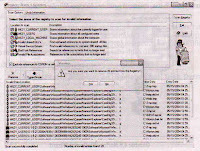 the system mechanic, invalid registry search process easier because the program will automatically search. steps: click start menu | system mechanic | mechanic system start. 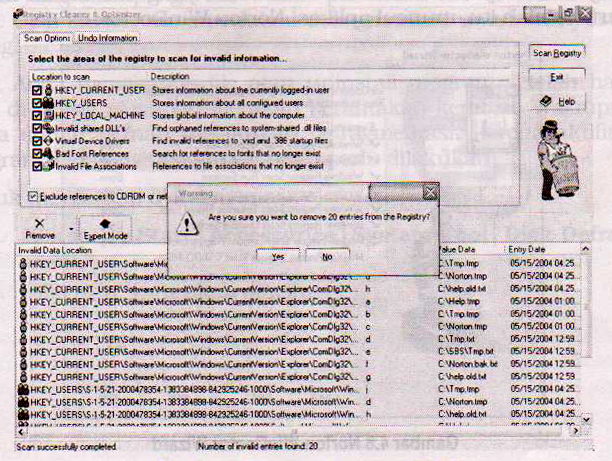 then, you select the menu click on scan the system registry clean registry. 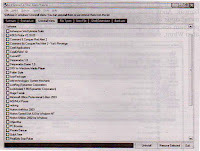 you can also use norton utilities program is quite familiar, complete, popular, and easy to operate. 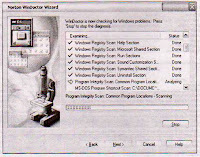 you can choose a menu or windoctor norton systemchek that they can fix registry errors and solve problems related to the windows system files. to run it, click windoctor norton is in the start menu. after that, norton windoctor emerging applications. 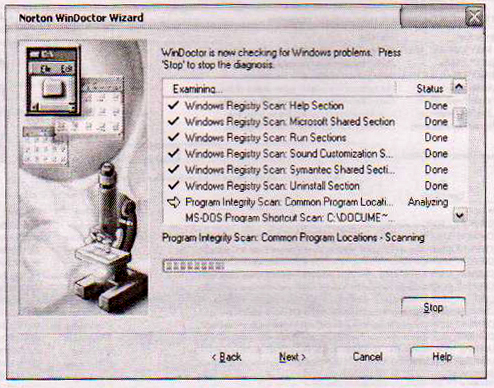 then, you select norton windoctor perform all tests, click Next to perform the scan. when the scan is complete, if there is a problem, it would appear the problem and to fix, click repaire all. automatically, norton will solve all the problems that arise. the more you diligently clean your hard disk, either remove junk files or uninstall unused programs, the more empty space on the hard disk which will help improve the performance of your computer.